With those words, Dr. Githinji Gitahi conveys why he is such a passionate advocate for pro-poor universal health coverage (UHC). Dr. Gitahi joined Amref Health Africa as Group CEO in 2015. 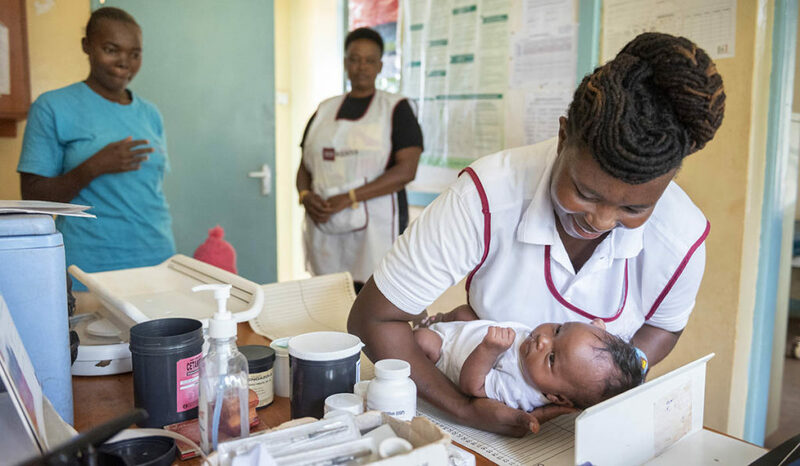 Founded in 1957, Amref Health Africa is the largest African-led international organization on the continent, reaching more than 9 million people through about 150 health-focused projects across 35 countries. From March 5 to 7 in Kigali, Rwanda, Amref Health Africa and the Rwandan Ministry of Health are convening for the Africa Health Agenda International Conference (Africa Health 2019 – #AHAIC2019 Africa Health 2019) – a platform to foster “new ideas and home-grown solutions” to the most pressing health challenges in Africa, with a focus on achieving UHC in Africa by 2030. Africa Health 2019 is viewed as a key opportunity to map a pathway from commitment to action and to build momentum for UHC among policymakers, civil society, technical experts, innovators, thought leaders, academics and youth leaders. The event is a milestone in the run-up to the UN high-level meeting on UHC in September, where the global commitment to UHC will be galvanized through a political declaration agreed upon by UN member states. Dr. Gitahi began his career as a medical doctor practicing in obstetrics and gynaecology, witnessing both the progress in health outcomes in his native Kenya and the gaps that remain. With 100 million people globally being pushed into extreme poverty each year due to high out-of-pocket payments, the goal of “health for all” is more urgent than ever, he says. Through his work at Amref Health Africa, Dr. Gitahi champions “affordable, quality healthcare for every person, everywhere.” His global leadership earned him an appointment as co-chair of the UHC2030 Steering Committee, a global World Bank and World Health Organization (WHO) initiative in support of UHC.